The stream flows all year despite its name. 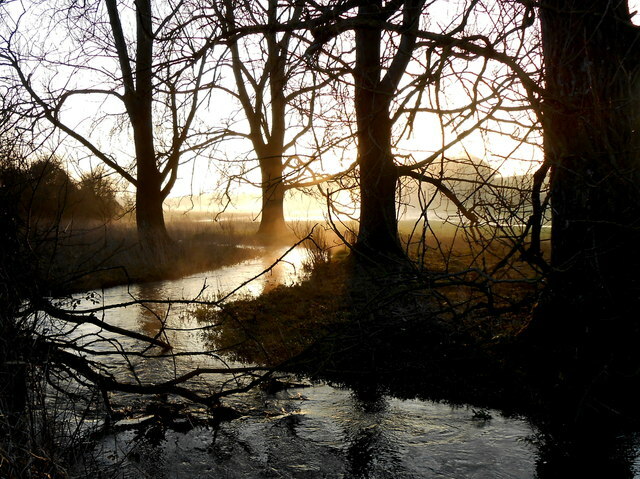 It is one of several Winterbornes that flow into the River Frome in this part of Dorset. At the moment it is very full due to the high rain levels over the past year. At this points the stream flows through a large stand of poplar trees next to the minor road from Winterborne St Martin to Winterborne Monkton.